The best way to feel better and look better is to move. One of the best ways to move without it feeling like exercise is to sign up for a spin class that gets you moving to the beat of music! 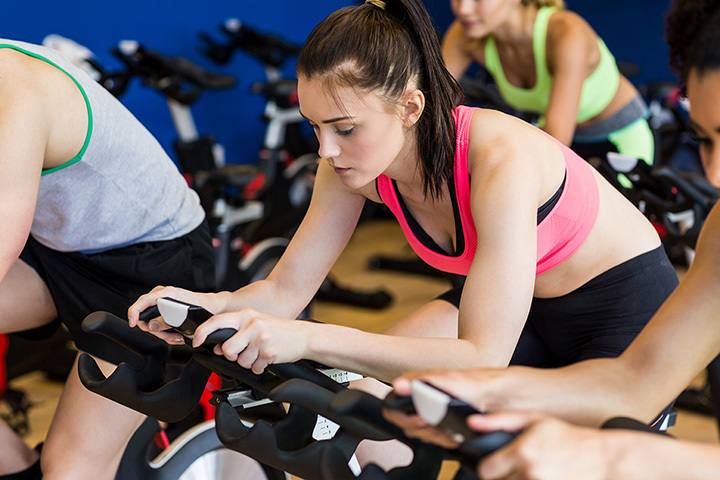 Join others as they discover the fun way to fitness at any of these 10 awesome spin classes in West Virginia. Low impact and high energy describes the spin classes available at Nautilus Fitness Center. You’re not far away from better health and a whole lot of fun when you sign up for a great spinning program that works your entire body. Join others who have a common goal and burn calories at the same time. Recover quicker from injuries, strengthen your heart, and build stamina in these weekly classes. What will you think next year if you let another year go by without signing up for unlimited classes that lead you to a better you? This is the time and WV Fitness 24 is the place. Offering spin classes that tone, trim, and test your body, you’ll have so much fun dancing, cycling, and making new friends that it won’t even feel like exercise. Ride your way to better health by signing up for one of the spin or cycle classes offered at Zenergy Fitness. Designed to give you a complete workout by involving your entire body, you’ll have so much fun that you won’t even realize your body is shaping and changing. Test your limits and find out that exercise can be fun, too. With programs updated each month, Greenbrier Valley Fitness is a great place to take the first step toward better health. Join others who want a quality workout that will exercise their body, strengthen their core, and improve confidence at one of the area’s best fitness centers. When it comes to motivation, you won’t find a better place than Brown Dog Yoga. Classes are for every level of skill and interest and involves fusion fitness for the best results. With two locations in the Mountain State, you’ll get nothing but positive vibes as you spin your way to better health and fitness. Good health is just a step away at Main Street Fitness in Bridgeport. This conveniently located gym has a fitness center and alternative and holistic health services. Qualified trainers and staff are happy to answer any questions you have and offer group and individual classes designed to help you meet your goals. Brickhouse Cardio Club understands how challenging it can be to work around a hectic schedule. That’s why they’ll work with you to find the exact classes you need. And they love to have fun as they work off the pounds, tone the body, and spin to the best music. Membership specials are available, and you get unlimited classes each month for 1 low price! Combining fitness and sports in one convenient place, Pro Performance in Morgantown is the answer to all your health and fitness questions. Zumba, pumping, yoga, Pilates, belly dancing, cycling, and kick classes are just a few of the workouts that await you. Getting in shape has never been so much fun! Anytime is a good time to start taking care of yourself. And Anytime Fitness is a great place to start. You can get a free seven-day membership to try out some of the classes offered. Open 24 hours a day, Anytime Fitness has professional coaches and trainers that teach, guide, and encourage you with group or individual classes. They have a secure location, discounts, privacy, and easy parking, and all the equipment you need like spin bikes, rowing machines, and treadmills, to get it shape. You can check out the location and classes with a free two-week pass at Studio 8 Yoga & Wellness. Find out what motivates you when it comes to your help and fitness. It could be a stretching class, one of the many yoga classes, meditation, or a spin class that’s offered. And to make sure you get the best most from whatever routine you choose, they offer massage therapy for tired muscles.